Three tastefully decorated and spacious self catering apartments sleeping 2-6. 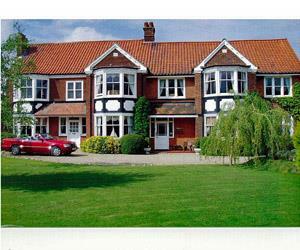 Pleasantly situated in a secluded position in grounds of 1 acre, just off the coast road between Cromer and Sheringham. Stroll to the beach, shops, restaurants, golf and riding. Garden and private car park. Brochure available. Totally non-smoking establishment Walk to beach and shops. Cycle storage available. Children welcome from age 12. From A149 from Cromer on coast road A149 West Runton, by village green. Roseacre can be seen. From West Runton - 0.25 miles.